As more consumers and businesses move towards the cloud, there is less of a need for physical hard drives, right? Sort of. Sure, fewer consumers will have a need to buy large storage drives, but how do you think cloud storage companies such as DropBox store your files? Hard drives, of course! 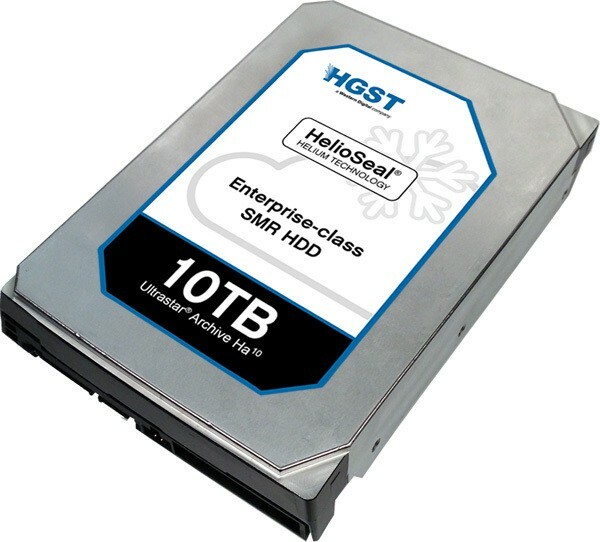 Today, HGST announces the world's first 10TB hard drive. With a focus on the enterprise, this drive is sure to be a big hit in that segment. "This industry-defining product is the result of combining two complementary technologies -- HGST's second generation, field-proven HelioSeal platform and shingled magnetic recording (SMR) -- to deliver unmatched storage density and power efficiency, without compromising reliability and performance predictability. With an industry-leading 10TB capacity, the Ultrastar Archive Ha10 gives customers a time-to-market capacity advantage for archival environments and applications where data is sequentially written and randomly read, such as social media, cloud storage, online backup, life sciences as well as media and entertainment", says HGST. The company also shares, "initial rollout of the 10TB HDD is focused on cloud and OEM storage customers who have the in-house capability to develop the software required. To benefit from the value proposition of Ultrastar Archive Ha10, host applications need to be first sequentialized, which requires adjustments in the software stack to take advantage of the areal density gain, and consequently, the sequential write behavior of host-managed SMR. This not only ensures the predictable performance that enterprise and cloud customers have come to expect, but also provides maximum control and arbitration at the host system level, which customers prefer". HGST scores major points for working with the open source community too. In an effort to get the SMR command sets working in Linux, the SDK has been posted on GitHub here. While price and availability are not yet known, your company can request a quote here. Check out the below specs and tell me what you think in the comments.